The Three Rivers Area Agency on Aging offers meals at senior centers and in the home for older adults in its 10-county area during the week. 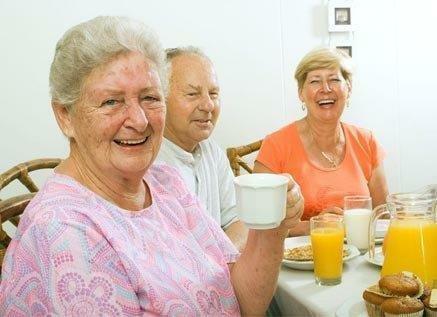 Nutritionally-balanced meals promote better physical and mental health for older people, and promote independent living for the elderly and disabled. Meals are available throughout the 10-county area served by the Three Rivers Area Agency on Aging and are provided to eligible participants at a nutrition site, senior center, or other congregate setting. Each meal complies with Dietary Guidelines for Americans and provides at least 33.3 % of the Daily Recommended Intake (DRI). Meals are prepared fresh daily in an on-site kitchen, Monday through Friday. Contact our ADRC counselors at the Three Rivers Area Agency on Aging or your local senior center by phone to talk with staff to learn about eligibility requirements and meal services available to you. 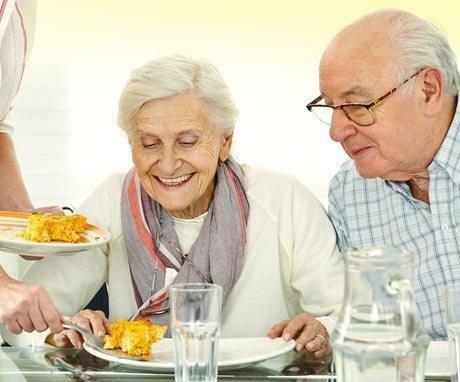 Home-delivered meals, in some areas known as Meals on Wheels, are provided to eligible older adults or other eligible participants at the client's place of residence. Each meal complies with Dietary Guidelines for Americans and provides at least 33.3 % of the DRI for each meal. Frozen meals are available for weekends and holidays and shelf-stable meals are provided annually prior to the winter weather season to ensure each homebound client will have a meal in the event of inclement weather or other emergency situations when the regular meal cannot be delivered. Meal delivery is coordinated through senior centers, churches and many other local organizations; however, there remain remote pockets in the region that currently do not have delivery programs. 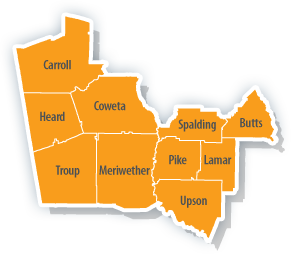 For specific delivery information, call the Three Rivers Area Agency on Aging at 678-552-2838 or toll free at 1-866-854-5652. Volunteering as a home delivered meal carrier is coordinated through local senior centers. The Home-delivered Meal program is in need of volunteers to assist with meal delivery. For more information, call 678-552-2838 or your local senior center to learn how you can become a meal delivery volunteer.